Muslim Brotherhood thanks Obama | can i just finish my waffle? Funny. But it really isn’t funny. Why is our alleged president so concerned about democracy in Egypt when he is defying our constitution? 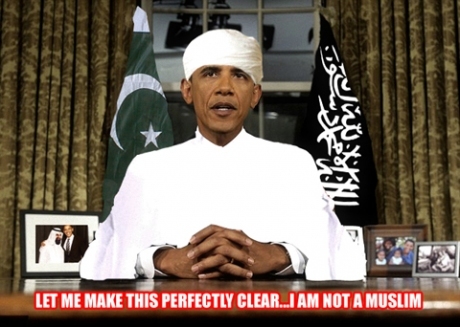 He wants to include the Muslim Brotherhood at the table and as part of the government. Did you hear him insist that the Coptic Christians have a place at the table? Or does he believe in the separation of church and state but not separation of mosque and state? But oh what a contrast in the way the media has reported this to the way they have covered the tea party movement. Anybody wonder why that is? And this is why I don’t believe what they are saying. In fact, knowing how they lie and distort the truth, if they take a certain position, I am immediately suspect of it. Let’s pitch some tents on the white house lawn, burn a few cars, and maybe Obama will resign.